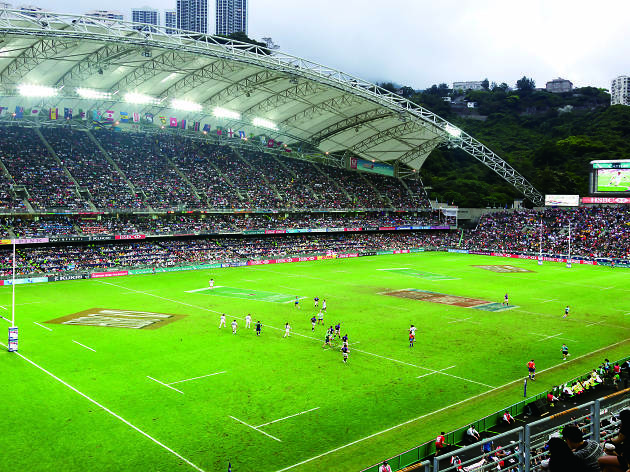 The year 2013 was a bad one for the city’s largest and most iconic outdoor sports venue, Hong Kong Stadium. Images of Premier League footballers skidding around its waterlogged pitch during the Barclays Asia Trophy in July that year were broadcast across the world. Manchester United refused to attend a training session at the stadium over safety concerns and the manager of Tottenham Hotspur claimed that if he’d had a choice, he wouldn’t have let his team set foot on the sodden pitch. It was an embarrassment for the Leisure and Cultural Services Department (LCSD), which took the rap for growing the original problem into a global fiasco after its consultant instructed workers to dump 30 tonnes of sand on the pitch in an attempt to reduce excess groundwater. However, there’s already a problem. 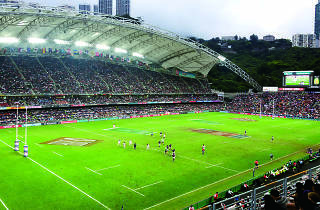 The football World Cup qualifying match between Hong Kong and China is scheduled to be played at the stadium on November 17, just nine days after the sevens tournament. Despite the $100 million overhaul and the LCSD’s assertion that the reconstruction has been ‘very successful’, there is a new problem. “Due to the anticipated damage to the new turf after around 50 vigorous rugby matches, the Expert Group has advised that it would be difficult for the playing surface to be restored to world- class standard within a few days,” explains the LCSD spokesperson. “Those 50 rugby matches are actually short, seven-a-side games held over two days, rather than 15-a-side,” protests James Middleton, Hong Kong distributor for an artificial grass pitch solution called FieldTurf and chairman of voluntary organisation Clear The Air. Middleton is outspoken on his thoughts about the decision to relay the pitch with real turf instead of a hardwearing synthetic option, similar to that used in many large US stadia. “[LCSD] had from March until now to reconstruct [the pitch],” he says, “and they are already saying they cannot handle two days of rugby and, nine days later, a FIFA football match? The problem is that they did not perform a microclimate study,” asserts Middleton. “The conditions inside the stadium are different to outside. Grass needs sunlight for photosynthesis, wind ow for transpiration, nutrients, deep rooting rhizomes so it can regenerate after wear... The design of the stadium hinders wind ow! The stands cast shade on to the pitch, plus the air in Causeway Bay is dirty, leading to acid rain. Sand based systems [like the one in Hong Kong Stadium] are infamous for their lack of stability when the players cut and move. 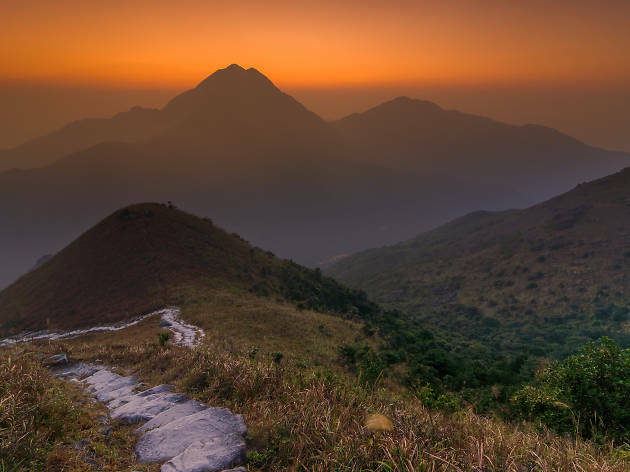 Natural turf systems overseas can withstand cover for a couple of days for concerts or other uses, but the turf in Hong Kong Stadium cannot.” Time Out gets in touch with Cameron Hodgkins, Head of the Sports Turf Management Section of LCSD, to find out more about the new pitch. However, he turns down our request for an interview. The chairman of Hong Kong Football Association, Brian Leung Hung-tak, told the SCMP last month that it ‘would be very disappointing’ if the match was not held at Hong Kong Stadium, pointing out the FA could lose up to $3 million in ticket sales, as well as a loss of supporters. 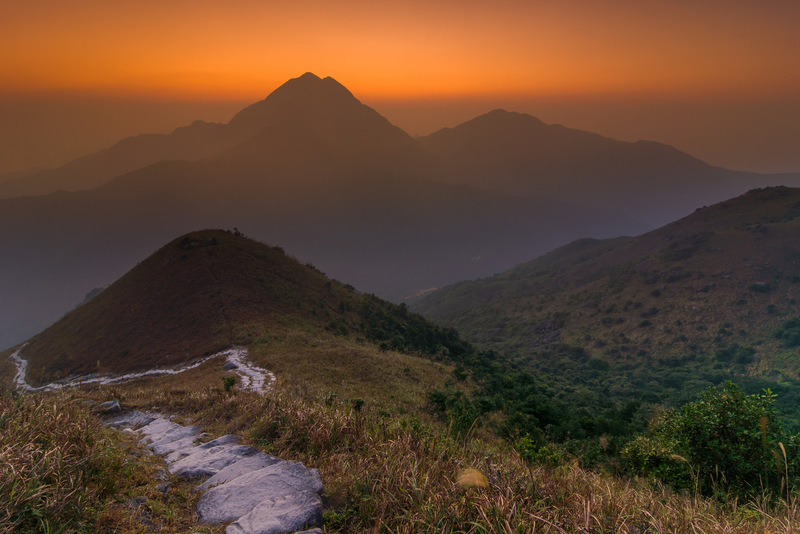 Step out of the concrete jungle and hit one of Hong Kong’s amazing hiking trails.